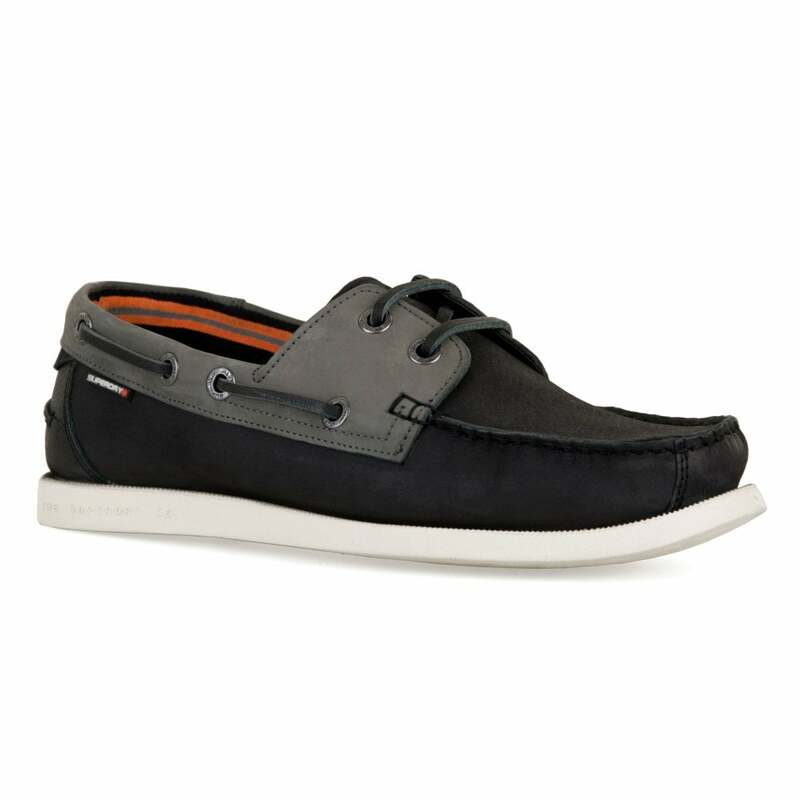 These lace-up Superdry Mocassin Shoes have a leather upper and are black. They have a grey trim & laces panel with a textile lining and a synthetic cork patterned insole. Superdry branding appears on the sides and the synthetic sole has a textured tread for added grip.